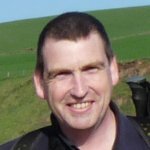 Sifting through a backlog of mail that had been dumped in my office after a few days away recently, I found to my delight a review copy of a new book from the Trailblazer Guides range. 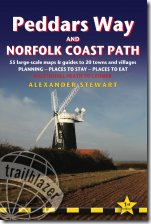 They have been revisiting lots of their existing books over the last couple of years, but this is a brand new guide to one of the lesser walked UK National Trails: The Peddars Way and Norfolk Coast Path to give it is full name (PW&NCP is what I will be shortening it to). The book has the usual pocket-sized format, comprising 190 pages and weighing in at 243g on my scales. There are 54 hand-drawn maps covering the route itself and guides and maps to 28 villages along the route. It also comes packed with the usual preparation information for getting there, planning on what to take, how long it should take and so on. It retails for £11.99, but you’ll find it cheaper on-line I’m sure. For those that have not heard of this path (or should that these paths? ), it ranges for about 90 miles; 46 miles for the Peddars Way and 47 miles for the Norfolk Coast Path, the latter following on immediately from the end of the first. The National Trails website considers it as one path and they are nearly always referred to as a single entity. The path runs from Knettishall Heath in the heart of Norfolk, almost due north to the coast where it turns east and follows the coast to Cromer. The guide provides all the information you could need to plan the walk, turn up to it and walk it. I tested this theory as this is a path I have no experience of. 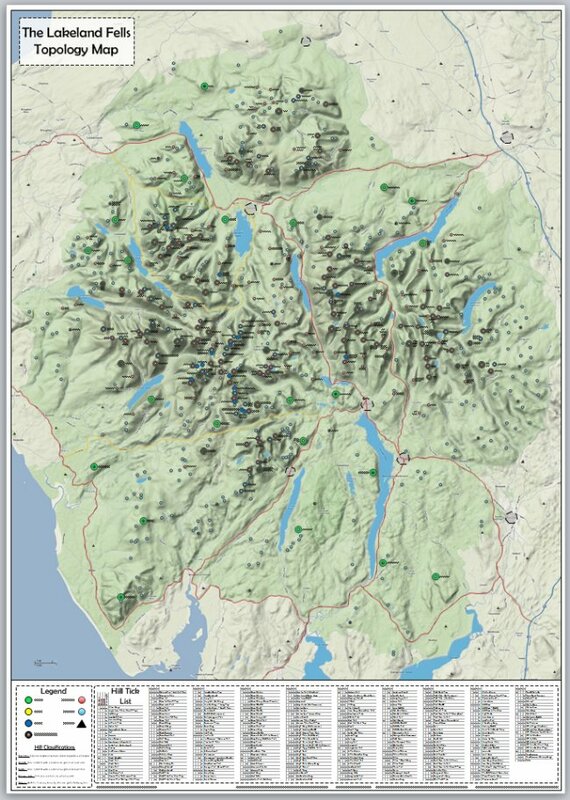 I decided to plan a backpacking trip along the route, using campsites wherever possible and B&Bs where not. The itinerary planning guide shows you all the possible accommodation stops along the route and what sort of lodging you can expect to find in each town or village. Using this I was able to count off the approximate number of miles I wanted to walk each day and search for an appropriate stopping place. Armed with this information you can flick through the book and find contact details for campsites, B&Bs, hostels and so on. Although the Internet is fast becoming the easiest and most comprehensive way to plan and book a trip like this, it’s great to see that standards are not slipping at Trailblazer and it’s still possible to use this single resource to plan the whole trip. The book itself is a great – the maps as usual are the highlight – set at approx 1:20K scale they are easy to read, with a large block capitals font and the path is easy to see on the page, with very little clutter and fluff to distract your eye – just the detail you need and nothing else. 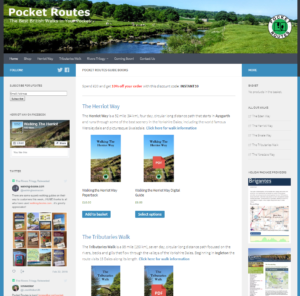 As with most of their re-issued guides recently, Trailblazer have gone digital and page 183 of the guide has a list of GPS waypoints for the route. It also says these are available for download from the site, but at time of writing I couldn’t find these – but hopefully they won’t be too long in coming.